Music is powerful and the sounds are unpredictable. 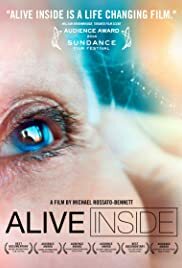 "Alive Inside" takes us inside some American nursing homes and it shows some of this hidden power and the healing effect of music on patients which suffer different levels of dementia and Alzheimer's. We see through their eyes, how they were kinda dead and, suddenly, smiles and that spark on the eyes. With music, they can live again. The movie is about "Music & Memory", Dan Cohen's nonprofit organization. He brings iPod's and earphones for some patients, and plays their favorite music. The results on screen are fabulous. We know our music carries memories and it defines part of our personality. 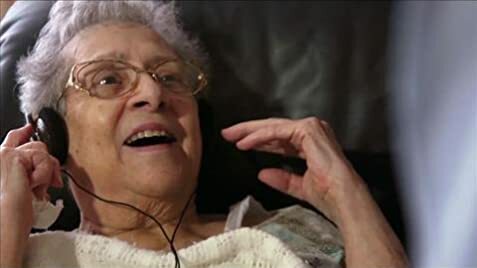 These patients combat memory loss, by dementia or Alzheimer's, and just by playing the musics, we can see they come up with things they thought were lost. We're exposed to some awakening and delightful moments, with an uplifting atmosphere of hope and joy passed to us, with some sensitive and heart touching scenes. There's too much feeling on it! I believe one of the best points on the documentary is Rossato- Bennett's work on the cinematography. He followed Dan to check and film his job. What he didn't knew until the first days, is that he was going to spent a couple of years with him, and there are some astonishing pictures on the screen. His works on close ups and the pace of the doc are fantastic. But, it's all about the music, and the key point is the soundtrack, made by the collection of some patients music. We travel in time on gospel music, some blues and jazz, classical music. The soundtrack is brilliant. It couldn't be different. Since everything isn't great, there are some important preoccupations with the future shown. The planet is getting older, and we're not prepared to it. There's no interest today on taking care of the elders. Geriatricians are fading and in some years from today, we will see an old population, without the needed assistance. People today don't even seem to care with this. 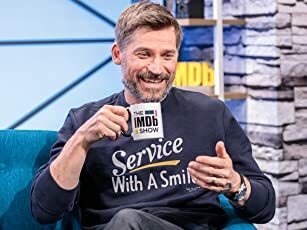 Dan got huge negative feed backs when he was trying to get some donations improve and spread his organization on the country. Here, we see with our eyes, how music affects on people, how it enhances the life of the elders, but we don't even have huge research's on this field. We simply don't care with elderly people. Music is everything. Music is identity and memories. Musics are sad and happy, it hurts, heals. It works on us in deep levels and so many ways we can't even imagine. We all have our musics and our memories, and we're the ones who should protect it. When you forget, you don't leave a memory. You leave yourself, aside on the roads of life, and it's okay. Our brain can't hold on too much information, we need to leave some things on the way, but remember: if you want it back somehow, just play your music. Musics are feelings, and to feel is to be alive.